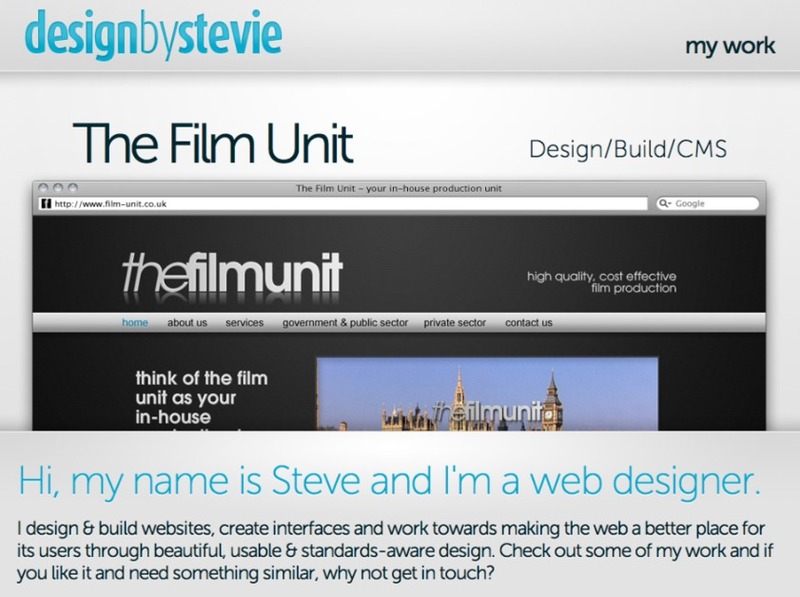 Hi, my name is Steve and I'm a web designer. I design & build websites, create interfaces and work towards making the web a better place for its users through beautiful, usable & standards-aware design. Check out some of my work and if you like it and need something similar, why not get in touch? Screenshot of my portfolio site, visit designbystevie.com for more!